As a business owner, marketing manager or CEO you know that you need to leave your content marketing to professionals, or at least get some help for you to get back to what you’re supposed to be doing day in, day out. We work with small to mid-sized B2B businesses and we’re specialists in content marketing that gets results. Yeah, we get it. There are countless choices out there from freelancers to fancy big name agencies. We’re an independent agency and what makes Scoop different is that we’re not flashy. We don’t have a marble foyer and we’re not going to send you a Hermès purse when you sign on the dotted line. That’s good news for you because you’re not paying for sizzle that has no substance. We do outstanding work, at reasonable prices. Plus, we’re total professionals with decades of experience in client services. Our team loves working with clients and making an impact on your business. We put our clients first and will never sell you services you don’t need, and will help you not waste precious time or money. Everyone on our team is a subject matter expert. We only hire people who are interested in staying in the trenches and knowing what’s really happening with content and digital marketing. Seriously. We live and breathe the idea of uncomplicated design in everything we do. Most of all, we offer an experience that’s designed to help you and your company meet its goals. We’re talking the good kind of teamwork where two heads are better than one and you’re not depending on a single, tired, overworked consultant to pull off a midnight miracle. At the heart of why we created Scoop is because we know exactly how frustrating it is to have four different consultants on retainer and to be in charge of wrangling all those people. Or to be stuck for your biggest campaign of the year because your go-to person decided to peace out at the last minute because they’re going to Bali for two months. At Scoop, we do “normal” office hours, have people who cover for each other when we decide it’s time for a vacation and consistently deliver results. Our team approach is built on having subject matter experts working on your account so you get the best and brightest, without having to sweat the details. We make things simple for you, so you can get back to doing whatever you need to do as a business owner, marketing manager or CEO. Maggie is the founder and principal consultant at Scoop Studios. 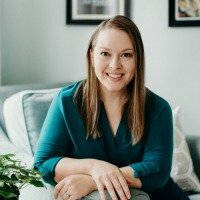 With 20 years of experience in digital marketing and communications working with some of the world’s biggest brands to startups, she brings her clients a unique blend of content marketing, PR and digital marketing know-how. A master level content marketer (as awarded by Copyblogger), her work has been published in a wide range of publications including Fast Company, Virgin.com, Entrepreneur and more. With over 15 years of experience, Sara is a skilled project manager and writer. Her role with the Scoop team has her creating content including marketing emails, case studies, and social media, plus overseeing all content related projects and delivering an outstanding client experience. Prior to Scoop, Sara was part of the marketing team at a large multi-national bank handling ongoing marketing projects, customer communications and more. Monica specializes in all things email marketing including content creation, funnel strategy and managing email marketing systems including Infusionsoft, Ontraport, ConvertKit, MailChimp and others. 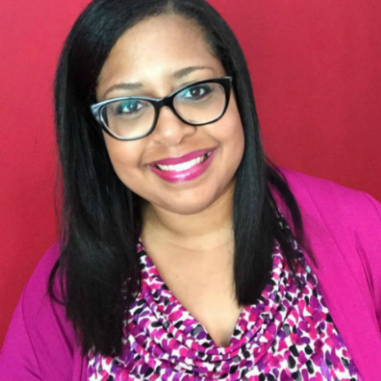 She has over 10 years of experience in digital marketing and holds the Hubspot Inbound Marketing and Email Marketing Certifications. An experienced content marketing pro, Heather has years of experience managing blogs as well as writing and editing all types of content. As part of the Scoop team, Heather coordinates editorial schedules, edits blog and case study content and assists in various roles on a number of client projects. Jessica is Scoop’s long-time design partner offering a range of services to our clients including branding, web and publication design.